Local birding stories have been piling up like twigs inside a wren house. November is always prime time for spotting rarities but this year was ridiculous. Birds that almost never visit Chicagoland were popping up all over. Some are likely still in the area, offering potential for more thrills this winter. Red crossbills, for example, staged a massive invasion on the Morton Arboretum and other venues with large stands of conifers. Until Nov. 2 I’d never seen the species in Illinois. A few days later the Arb produced a varied thrush, a rare visitor from the west. That one I missed. 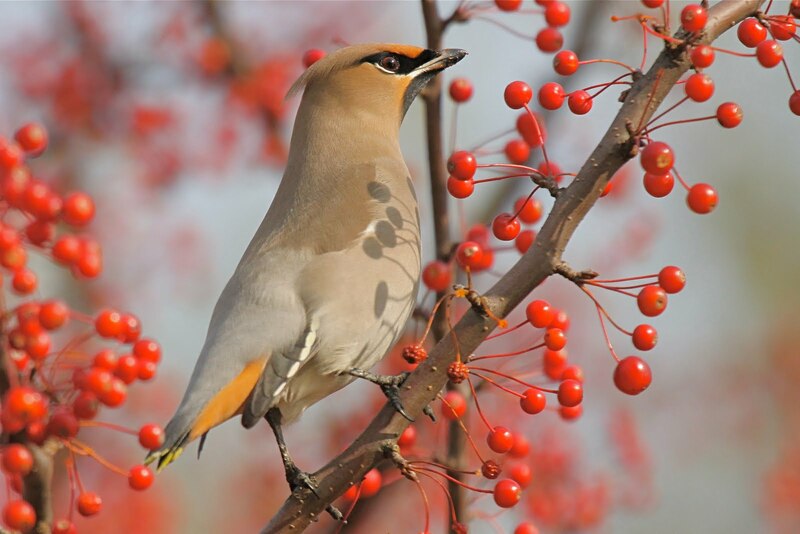 Evening grosbeaks, Bohemian waxwings and even whooping cranes were spotted in DuPage County in November as well. Amazing! Speaking of cranes, autumn was unusually quiet until the day after Thanksgiving. The floodgates finally opened on Black Friday as thousands of migrating sandhills filled the skies, providing a timeless natural spectacle with a fabulous soundtrack. Clues that this would be an exceptional year arrived early. 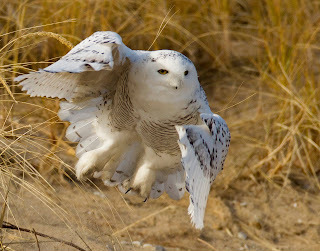 The epic snowy owl irruption that began in late 2011 carried over well into 2012, transcending the birding community. My son and I watched a snowy on the Chicago lakefront on Jan. 7 along with a dozen bystanders who instantly became avid birders, at least for the day. Winter ended, spring began, and a few snowy owls were in no rush to fly back to their arctic homeland. Remarkably, the species was documented in McHenry County on May 11, the latest sighting ever in Illinois. Chicago’s Douglas Park hosted the rarest bird of 2012, in April. The second-ever discovery of an elaenia species on American soil created a frenzy like a scene from “The Big Year.” Birders from all over the country arrived as the little brown bird from South America played hide-and-seek for several days. NPR and the CBS Evening News each filed reports. No question, if you had the time, gas money and motivation to chase down rare species, this was a fine year to be a birder. My own birding adventures were not nearly enough, they never are, but I definitely had some good moments. Some are described below, along with my traditional year-end compendium of news, notes and random thoughts about the hobby we love. • I went to Fermilab to see the visiting red-necked grebe on Oct. 27. Nice bird, and possibly the same one I watched from the same spot exactly one year before. • First-time sightings in the backyard are always exciting. A tufted titmouse on Oct. 25 was No. 112 on my yard list. • That catbird I wrote about in July, the grape jelly addict, apparently kicked the habit. It stopped coming around in September. • No kidding, a swallow-tailed kite flew over the Illinois Beach State Park hawkwatch on Sept. 14! Nine days later a ferruginous hawk buzzed the hawkwatchers at Greene Valley in Naperville. Multiple golden eagles and Mississippi kites were observed this fall at both sites. • Favorite field trip of 2012: A downstate overnighter to see the state’s few remaining greater prairie chickens. Sadly, only 100 or so remain in Illinois. • Mostly because of that chicken trip I now own and proudly wear a Schaumburg Boomers baseball cap. The team has the best logo and mascot in minor league baseball, or at least the Frontier League. • Does anybody remember when seeing a coyote during a bird walk was sort of unusual? • The variety of birds seen annually at Montrose Point on the Chicago lakefront is astounding, in part because so many birders frequent the well-placed sanctuary. Home of the Magic Hedge, Montrose delivered big-time in 2012. Believe it: buff-breasted sandpiper, burrowing owl, cave swallow, scissor-tailed flycatcher, black-legged kittiwake, whimbrel, marbled godwit, western grebe and yellow rail. The wandering tattler at Montrose on Aug. 9 was a first for Illinois. • Attention eagle fans: 29th Annual Bald Eagle Watch, Jan. 5, in Clinton, Iowa and Fulton, Ill. If that’s too far, try Eagle Watch Weekend at Starved Rock, Jan. 26-27. 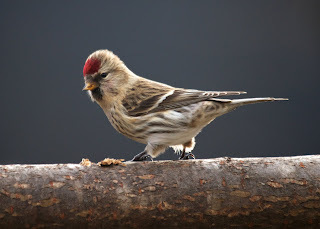 • Chicago Botanic Garden is once again The Place to see common redpolls in winter. Check the birches around the Regenstein Center. The current flock is sticky. • Bobwhite quail were reported this year at St. James Farm and McKee Marsh in Warrenville. • DuPage County recorded its first barn owl in 30 years. Once common here, barn owls are state-endangered. A pair nested in Naperville. • Like owls, too? Don’t miss Jerry Goldner’s photo exhibit at Chicago’s Peggy Notebaert Nature Museum. “Owls of Illinois” runs Dec. 22 to Mar. 17. Some of Jerry’s fine images have enhanced this column. • Since you’re going downtown, stop by the Field Museum to see the newly upgraded Bird Hall. • Including that barn owl, I added seven birds to my Life List in 2012. My favorite, by a whiskered auklet, was the evening grosbeak at Lake Quinault, Wash.
• I’ll be attending my first Gull Frolic in February. My target bird, a Thayer’s gull, would be lifer No. 499. Did I just jinx myself? • So I renewed my subscription to WildBird, for two years. About a month later I received a postcard saying the magazine was folding and my subscription would now be for Hobby Farms. • A lark bunting, the state bird of Colorado, showed off in McHenry County for most of June. • Nice to see a male wood duck on the 2012-2013 federal duck stamp. Could there possibly be a more spectacular or more photogenic duck species? • Take a look at the birds of paradise in the current issue of National Geographic. Talk about spectacular. Wow! • Wild goose chase: A rare barnacle goose, spotted with a group of Canadas in Yorkville, caused excitement in late November. The bird vanished for a few days and then was relocated, again with some Canadian friends and also a Ross’s Goose! • The DuPage Birding Club conducted its first-ever Big Day competition on June 2. The winning team found 94 species during an 11-hour search. The all-in total was 124 species by seven teams. • We are not alone: A 2012 report by the U.S. Fish and Wildlife Service says about one in six Americans enjoy watching and feeding birds. That’s nearly 50 million people. • Hackmatack National Wildlife Refuge is a go! Development of the 11,000-acre preserve on the Illinois-Wisconsin border was officially authorized in August. I’m there as soon as they cut the ribbon. • From Birding magazine: “Despite ever-improving optics, many birders are enjoying ‘bare-naked birding’—observing and appreciating birds sans binoculars, scope or camera.” Hmm. Really? • The bird list at Cantigny Park continues to grow thanks to monthly walks that started in 2008. It’s up to 135 species now, including the bald eagle we scored in June. It pays to keep an eye on the sky! • Kudos to the Forest Preserve District of DuPage County for launching “Early Birders” at Fullersburg Woods. The pilot program features bird walks for ages 11-17. • As of Dec. 7, a hummingbird was still visiting a feeder in Rockford—likely a female rufous but not yet confirmed. • Finally, my personal thanks to the Daily Herald for providing this monthly space and for the paper’s dedication to covering the natural world that’s all around us, in words and pictures. Let’s all get outside a little more often in 2013! When it comes to birding, patience and luck are essential elements. Skill comes in handy but is not required. I’ve said it before: So much of this hobby is simply waiting, watching and being in the right place at the right time. Yes, it happened again in my backyard. On Oct. 25 a special bird came to visit, one that I’d been hoping for since 1997. I became all giddy, of course, bounding up the stairs to tell my wife and then sharing the news at work with anybody who would listen. It was a tufted titmouse, a species that even nonbirders seem vaguely aware of because of its fun-to-say name. Even if they’ve never heard of such a creature the name makes people smile. I grew up with titmice in Ohio and still see them when we go back to Canton. It is by no means a rare bird throughout most of its range—virtually the entire eastern half of the United States. But in the Chicago region it’s tough to find. Sort of like pileated woodpecker—the range maps in our field guides say it’s here but good luck tracking one down! There’s that word again, luck. I hadn’t put a new bird on my Glen Ellyn yard list since a golden-winged warbler in 2010, and I’d have missed my “yard lifer” titmouse if I hadn’t decided to have a cup of coffee on the back porch. Our west-facing porch is my favorite room in the house. This time of year the screens are out, replaced by glass, and on most fall mornings the temperature is just right for enjoying a hot beverage and watching the feeders. The titmouse arrived almost as soon as I sat down, taking a few nibbles at the peanut feeder before moving over to the black-oil sunflower seeds. In two minutes it was gone. As if to say thanks for breakfast, the bird whistled its distinctive “peter, peter, peter” after flying off. I reported my sighting on the birding listserve and soon learned of other close encounters of the titmousian kind. The day before, a tufted titmouse had been heard singing on the grounds of Willowbrook Wildlife Center in Glen Ellyn. 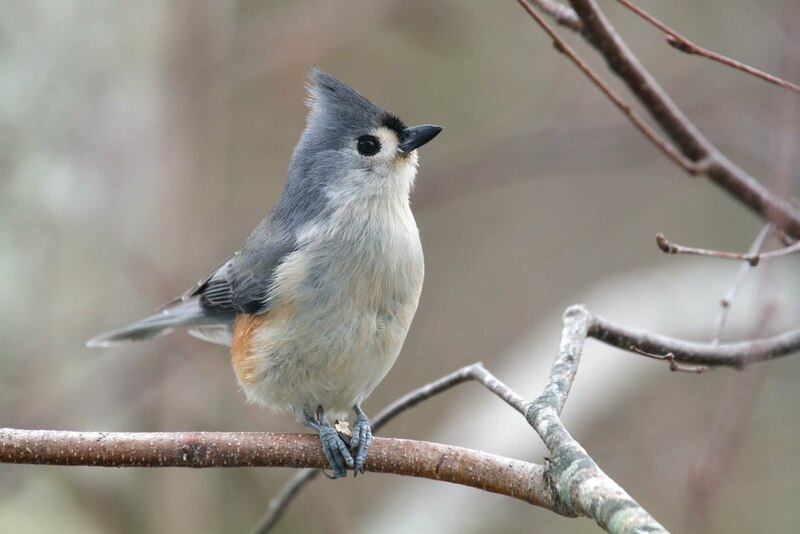 Four days earlier, Leslie Cummings observed one in her Wheaton backyard, her second titmouse in 10 years. Going back to October 2011, Chicago birders Geoff and Christine Williamson spotted a titmouse at the Jarvis Sanctuary—their first in 22 years of birding Lincoln Park! A truly bittersweet titmouse story involves Jim and Kate Frazier. In 2010, Jim and I were conducting the Christmas Bird Count at Cantigny Park when his cell phone rang. It was Kate, reporting that a tufted titmouse was in their Batavia backyard, a first-time occurrence after 20 years. I wouldn’t have faulted Jim if he’d chosen to ditch the CBC and high-tail it back home. He didn’t, and unfortunately the titmouse was a “one-day wonder,” not to be seen again. On that cold winter day, Kate scored the top prize without ever leaving home! The tufted titmouse is closely related to the black-capped chickadee. Like chickadees they are cavity nesters and non-migratory. But unlike chickadees, they are scarce in DuPage. So what happened? For one thing, West Nile virus; studies show that tufted titmouse was among the hardest hit species when the avian disease emerged here in 1999. Chicagoland may be one of those areas. Eastman also noted that titmice are “not so adaptive to various habitats” as chickadees. This, and perhaps stiff competition for nest holes, would make recovery from West Nile even more challenging. But I’m just a birder who is speculating, not an ornithologist. All I really know is that tufted titmouse is one fine bird to see in DuPage County. When you do, savor the moment because it seems this locally elusive species seldom stays in one place for long. Too busy for birding? Lately it has felt that way for me. In September I attended only two organized bird walks. That’s rather pathetic considering all the opportunities. During fall migration, which is far from over, the local birdwatching agenda is loaded with events. I plan to make amends in October. There is so much to see this month, including brown creepers, fox sparrows, hermit thrushes, kinglets, winter wrens and, yes, even yellow-bellied sapsuckers, the most migratory of our woodpeckers. I’ll feel like a sapsucker myself if I miss any more of the autumn spectacle now upon us. Fortunately, birding doesn’t need to be time consuming. We can do it in little bits and pieces or while doing other things. That was my MO in September and it yielded a few interesting results. On Sept. 21, the birding gods delivered a most welcome visitor to my Glen Ellyn backyard. It was an ovenbird, a ground-loving member of the warbler family named after its nest, which resembles a Dutch oven. I was looking outside from the kitchen at just the right moment. An even more unusual backyard guest was a gray-cheeked thrush, a drab species that could easily go undetected. Getting the ID on this bird is tricky so it takes a good long look to be sure. I was lucky to get one, clinching my second-ever gray-cheeked in the yard. Singing Eastern wood pewees in September? Yes, and not one but two. I’m not skilled at “birding by ear” but the pewee is easy—it says its name. One more yard note: As so often happens, I got distracted while cutting the grass. 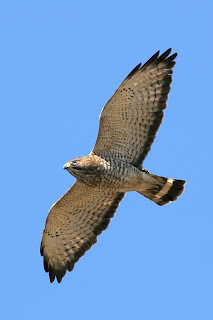 It was late afternoon a few weeks ago when about 25 broad-winged hawks drifted over, all heading southwest. Classic! The real hawkwatching experts gather this time of year on the big hill at Greene Valley Forest Preserve in Naperville. On Sept. 15 I dropped by to say hello and maybe mooch a view through their scopes. The hawk counters were hard at work that warm afternoon and, in fact, still recovering from a very busy morning. A few hours earlier they’d tallied more than 600 broad-wings as the birds lifted off from their overnight roosts to continue their southern migration. The Greene Valley hawkwatch, in its 7th year, is organized and staffed by the DuPage Birding Club from September through November. The all-volunteer counting effort is “citizen science” in action, contributing to a database that monitors North American raptor populations. You can see the numbers, including daily Greene Valley reports, at hawkcount.org. The overlook at Greene Valley—the second-highest spot in DuPage—is open to the public Saturdays and Sundays through October from 11 a.m. to 6 p.m., weather permitting. Go pay a visit to the devoted hawkwatchers this month and experience birding from a different perspective. The view is great and the birders are friendly! More information is at dupageforest.org. Two of my favorite pastimes, birding and golf, came together beautifully on Sept. 25 when I attended a Ryder Cup practice round at Medinah Country Club. Spectating at golf events can be a little slow, leaving plenty of time to look around with binoculars. Once, during the U.S. Open at Olympia Fields, I spotted a yellow-throated vireo. At the PGA Championship at Medinah in 2006, my top prize was a yellow-billed cuckoo. I didn’t see anything quite that exciting at Medinah this time. Among my 20 species for the day were several warblers and a red-breasted nuthatch. It seems to be an exceptional year for the latter, by far the less common of our two resident nuthatch species. They are popping up all over this fall. Until last month, I’d never recorded a red-breasted nuthatch at Cantigny—amazing, considering I’ve been birding the park since 2008 and the species is regular in my backyard (having a peanut feeder helps). Fellow birder Jim Frazier and I were photographing hummingbirds in the Idea Garden when we heard the nuthatch’s signature call, which Roger Tory Peterson likened it to a “tiny tin horn.” I took off toward the sound but never did get a view of the perpetrator. Certainly another highlight of my limited early fall birding was a visit to the Prairie School of DuPage County, a home school cooperative based on the grounds of the Theological Society in Wheaton. I led the young students there on a short Friday afternoon bird walk and the 10 species we found might as well have been 50. The kids’ enthusiasm was inspiring, and hopefully I convinced them to start keeping track of their sightings. With regular walks, careful observation and the installation of a winter feeding station, the Prairie School kids can expect their bird list to grow quickly. They have the advantage of a wonderful 42-acre property with mixed habitat, not to mention a school curriculum that emphasizes nature study. Now it’s October and I’m waiting to spot my first dark-eyed junco, a northern-nesting species that considers our region to be a fine place to spend the winter. I’m not so sure about that, but I do know that autumn is a great time to be a birder in these parts. Let’s all get outside and enjoy the show! A funny thing happened a few weeks ago. On a hot late-summer day, I added a bird to my life list without ever going birding. I owe this to a couple of sharp-eyed readers, including one in Florida. They noticed that in my August column I’d mentioned seeing and hearing a winter wren during a trip to the Olympic Peninsula. In fact, they said, what I’d found was a Pacific wren. How did they know? Well, it turns out I had forgotten about a taxonomic reclassification that occurred in 2010, courtesy of the American Ornithologists’ Union, or AOU. The winter wren, which we see occasionally in DuPage, was “split” into two separate species. In the western United States, what used to be a winter wren is now officially a Pacific wren. Birders who keep lists love AOU splits. When they occur, our lists get longer. Mine did: Pacific wren, No. 498. I’ll admit this can all be a little bit goofy. Many birders get obsessed with “the chase,” sometimes deriving greater satisfaction from growing their lists than from watching birds. We saw this quite vividly in “The Big Year,” a great book converted to the big screen. Some of my non-birding friends have finally seen the movie due to its recent run on HBO. They ask me, Are birders really like that? Some are, yes, but none that I know. Most birders keep lists but they are not overly competitive about it. They appreciate bird listing for what it is: a game that for some adds a challenging and enjoyable dimension to the hobby. It’s a way to keep score and, in my opinion, encourages good observation skills. Listing is highly personal, and some birders are shy about discussing their numbers. I’ve heard that you should never ask somebody how many birds are on their life list. Really? Would that be like asking them how much money they make? OK, that’s fine. I will not ask. But if you and I cross paths in the field, feel free to inquire about my pursuit of life bird No. 500. I’ll talk about life lists and lifers all day long, and then we can talk about my yard list, too! For me, listing is just fun. I make no apologies. Things are different now thanks to the Internet. The detailed lists that birders compile and submit electronically through eBird are actually of great value to ornithologists. The data help identify bird distribution and population trends that inform bird conservation efforts. It’s nice to see dedicated bird listers finally getting some credit. I believe they’ve always cared just as much about conservation as non-listers, but now, more than ever, their efforts are making a real scientific contribution. Avid listers, however, are still routinely suspected of somehow not appreciating birds as much as those who simply watch birds and never keep a checklist. One group cares about numbers, the other about beauty. One group ticks, the other one observes. It is not that simple, of course. Birding attracts all kinds of people for many different reasons. For some it is indeed a sport. For most of us, it’s a hobby or pastime. Maybe for you it’s just a few looks out the kitchen window every morning to check the feeder. We all approach birding a little differently. Birders of every persuasion can be mesmerized by beautiful birds and fascinated by avian behavior. Even common species can provide a thrill, as I often witness during bird walks at Cantigny Park in Wheaton. Last May it was a tree swallow that captured and held the group’s attention. The sun hit that bird perfectly, revealing a stunning iridescence. In August, our group spotted a male indigo bunting feeding in the rose garden. For five minutes we all feasted on close, eye-level views of this striking, electric-blue bird. As we admired these birds, there were no listers or non-listers among us. There were no experts, beginners or anything in between. We were all just birders, enjoying the moment. The next time I catch myself worrying a bit too much about The List or “getting the bird,” I’ll think about that swallow and bunting. If birds like that ever fail to grab my attention, I’ll know it’s time to give up the hobby. Lifers are great, but the birds all around us are pretty special, too. Roll your eyes and turn the page if you must, it’s time for the annual “what I did on my summer vacation” column! It’s in my DNA: I travel, I watch birds, I take notes. This time, the Pacific Northwest, in late June and early July. Some pre-trip research suggested it was not the “birdiest” time of the year to visit the region but visiting some new avian scenery is always fun. Plus, our timing was great: we missed the first major heat wave of the summer and a three-day power outage in Glen Ellyn. On family vacations the challenge for me, besides finding the local birds, is practicing my hobby without interfering with scheduled activities. On this trip, fortunately, birding was compatible with almost everything we had planned. First up was a one-day sea kayaking adventure. After landing in Seattle we drove to Anacortes and boarded a Washington State Ferry bound for Friday Harbor on San Juan Island. I knew the ferry would be a good birding opportunity and it started before we even pushed off. Pelagic cormorants and pigeon guillemots were hanging around the docks, along with some mystery gulls to be identified later. After leaving port the real fun began. Groups of little seabirds were flying just above the water surface or resting in the distance. When the ferry got within 50 yards of the floating birds they vanished, diving below the surface. This seriously tested my ID skills and also my patience. Luckily, a few birds proved less skittish and afforded a brief but closer look. They were rhinoceros auklets, a species named for the little “horn” that projects from the base of its bill during breeding season. My life list was already growing. The main point of the kayak trip was to observe orca whales in the Strait of Juan de Fuca. We succeeded mightily, spotting many whales out in the deeper water. As we paddled, some noisy black oystercatchers went wheeling by at close range. Another lifer! Our visit to the San Juans was too short but leaving was easier knowing that our next stop was Lake Quinault Lodge in Olympic National Park. What a special place. My wife and I had been there once before, in 1993, and it seemed exactly the same. But one difference is that I wasn’t a birder back then. During the next three days I’d experience rainforest birding for the first time and do my best to see all that I missed 19 years ago. Upon arrival I immediately noticed the lodge’s bird feeders, a very good sign! Within minutes I was watching black-headed grosbeaks and Steller’s jays enjoying the sunflower seeds. Rufous hummingbirds were visiting multiple nectar feeders hanging directly outside the Roosevelt Room’s windows. We’d be dining there later, just as FDR did in 1938. Most of the feeder birds at Quinault were exciting because I’d seen them just a few times before during trips out west. The activity under the feeders was interesting, too. Mingling with those handsome Steller’s jays were western race dark-eyed juncos and fox sparrows. These birds have a very different look than their counterparts in DuPage. In the lobby, a laminated one-page bird guide was available to help guests identify the common species around the lodge. Two of the 15 birds featured were evening grosbeak and varied thrush—both on my Most Wanted list for the trip. The hiking trails at Lake Quinault wind through old-growth temperate rainforest studded with massive cedars, hemlocks and spruces. On one walk we encountered a mixed flock of chestnut-backed chickadees and brown creepers, followed by a singing winter wren. The wren alone was worth the three mile hike—what a voice for such a tiny bird! Swainson’s thrushes contributed a nice musical element as well, in the woods and around the lodge. What a contrast they were to the raucous common ravens that made a living disturbing the peace. Band-tailed pigeon and Pacific-slope flycatcher joined my life list, and I was happy to spot a pair of common loons patrolling Lake Quinault. Nesting violet-green swallows at the lodge were another bonus. From a balcony I watched them zoom by at eye-level just a few feet away. Throughout the trip and especially at Quinault I kept my eyes peeled for a varied thrush, a robin-like species that likes to stay hidden. No luck. But my disappointment was easily offset on our last night at the lodge. Walking over to dinner, I noticed a chunky bird at one of the feeders, showing a lot of yellow and white. Could it be? Yes! A male evening grosbeak! This was a species I’d known all my life but had never seen. A female was on the feeder, too. I’ll admit, at dinner it took me a while to calm down. After Quinault we drove west to the beaches along the Pacific Coast and then up to the Port Angeles area. We reentered Olympic National Park at the north entrance and climbed up to Hurricane Ridge, 5,200 feet above sea level. It was fun throwing a few snowballs on the Fourth of July and watching gray jays, horned larks and more of those odd-looking juncos. The next morning I searched hard for a California quail at Dungeness National Wildlife Refuge near Sequim. Never found one, but I did see a spotted towhee, a refuge specialty. A “postcard moment” was delivered by an adult bald eagle, cruising along the famous Dungeness Spit. My trip total was about 60 species, and those were just the birds! It was a fascinating week, filled with amazing scenery and wildlife of all kinds. Six weeks later, I’m still thinking about that pair of evening grosbeaks, the orcas and the astounding biodiversity of the Olympic Peninsula. I’m going back, and hopefully soon. My notebook still has plenty of space. True birders can appreciate that scene because we know it’s not all about color and flash. Some of our favorite birds may appear rather plain but they possess other qualities that make them appealing. Me, I’ve always liked the catbird. It’s gray. My friends seem to like catbirds, too. They make funny sounds. The birds I mean. Plus they are good looking without being colorful—sleek and slaty gray with a black crown. Catbirds also sport a rufous patch under their longish dark tail. The patch can be hard to see, and so can the bird. Gray catbirds are common around here but their favored habitat is dense vegetation and thickets, where they tend to stay low. We usually hear them before we see them, including their trademark “meow” call. The catbird’s secretive nature is just one reason I’m excited about my latest backyard birding story. Since early May, and for the first time ever, I’ve had a gray catbird visiting on daily basis. The trick: grape jelly. I’d tried offering grape jelly before but without success. This time I got lucky. Or was it the feeder? Probably a little of both. The hanging blue plastic tray was an impulse buy at Menard’s last winter and so far it’s a catbird magnet. I suspect that a pair is visiting, and that the birds are raising a family in some overgrown shrubs across the street. But I haven’t seen two birds at once so I can’t be sure. Male and female catbirds look alike. Visits to the jelly are always brief: catbirds are skittish about being in the open for very long. Yet they are not shy about making their presence known in the neighborhood. In May, well before daybreak, I often heard a catbird singing. Performing might be a better description. Like mockingbirds and thrashers, the gray catbird belongs to the mimid family. Its song is quite musical but hard to describe—loud and disjointed, often with notes or phrases borrowed from other species. When I get home from work I can easily tell if the catbird has been pecking at the jelly. It leaves little beak marks. A tablespoon of the sweet stuff every couple days seems to be plenty. Cardinals, chickadees and nuthatches investigate the jelly but do not seem to like it. Orioles are known to feed on grape jelly but so far none have stopped by on my watch. I did observe a fascinating interaction between a catbird and a ruby-throated hummingbird, on June 2. From my “catbird seat” in the kitchen I looked out to see the feisty little hummer driving the larger bird away from the nectar feeder, which is closer to the house. The catbird retreated to the jelly feeder and the hummingbird followed it there, staying in the intruder’s face. I believe Mr. Catbird got the message. When the catbird show finally ends I’ll replace the grape jelly tray with a tube feeder filled with black-oil sunflower seeds, normally a staple on my avian buffet. But how long will the catbird stay? All summer, hopefully. After that it will most likely migrate to the southern United States, eastern Mexico or Central America. A few catbirds, however, will spend the winter in Chicagoland; the species is found every year on various Christmas Bird Counts in the region. Like robins, catbirds can survive on berries when the snow flies. Maybe grape jelly, too! For now I’m content to enjoy the warm-weather company of a charismatic neighborhood guest—a gray bird with a big voice and one serious sweet tooth. I’d arranged to interview the Deese brothers at Mallard Lake. It was near their home in Bloomingdale, and the name of the place seemed appropriate given the purpose of our meeting. But while the mallard is a common species, it is rare indeed to find two teenagers who are nuts about birds and birding. Graham, 17, and Henrey, 14, fit that description. Given the choice of watching warblers or TV, these kids will take the birds every time. “Nature-deficit disorder” in the Deese household? Not a chance. Their mom, Suzy Deese, home schools Graham and Henrey and a healthy part of their education takes place outdoors. Family vacations generally revolve around nature and birding in particular. “This is our journey together and it’s been a lot of fun,” said Suzy, who also finds time for a nursing career with Cadence Health Care. Home schooling definitely creates more opportunities for birding. When I met with the boys they had recently returned from birding in the Texas hill country. For the record, they spotted a black-capped vireo but missed the region’s other specialty, the golden-cheeked warbler. However, thanks to excellent timing, the trip yielded the rarest bird either boy had ever seen, a tropical mockingbird! The mocker, native to southern Mexico, was discovered by other birders before the Deese’s arrival and is potentially the first-ever documented in the United States. Graham and Henrey are fortunate to have an aunt in Houston. Better yet, a birder aunt. She guided them to the rare mockingbird in April (near High Island) and in 2007 took them to Aransas National Wildlife Refuge, home of wintering whooping cranes. In 2010, the family birded the Rio Grande Valley. I confess that hearing about these Texas adventures made my binocular fingers twitch. I’ve still never birded the Lone Star State, a place considered by many to be the hottest U.S. hot spot of all. Locally, Graham and Henrey go birding once or twice a week. Favorite places, all part of the DuPage County Forest Preserve system, include Mallard Lake, Elsen’s Hill, Waterfall Glen and McKee Marsh. Additional birding takes place at Willowbrook Wildlife Center in Glen Ellyn, where the boys serve as volunteers. They have a long connection with Willowbrook because of Kevin Luby, a naturalist at the center. Graham says it was nature hike led by Luby at Wayne Grove almost 10 years ago that triggered his interest in birds. The brothers attended monthly walks for the next five years with Luby, who encouraged their newfound passion. Graham and Henrey began sharing that passion with others in 2009 by leading a family bird walk on International Migratory Bird Day at Willowbrook. They’ve been helping out at the center ever since, first through its Junior Naturalist program and now its Ambassador program. The latter includes volunteer work and more opportunities to learn from resident naturalists like Luby and Ron Skleney. They may be the youngest birding guides in DuPage County but that is definitely not held against them. Just the opposite, according to Skleney. At Mallard Lake I learned that the Deese boys are dedicated to more than just birding. They perform in the West Suburban Home School Band and after our meeting rushed off to a rehearsal for their spring concert. Henrey plays the trumpet and Graham the clarinet. Their other key activity is Chicago Charge, a speech and debate club for Christian homeschoolers. Through the club, both boys are competing this month in a national tournament in Colorado Springs. Of course, the Colorado trip will involve some birding. Graham, Henrey and Suzy are heading west early to see if they can find a Lewis’s woodpecker, Lucy’s warbler, MacGillivray’s warbler and other goodies. Dang, there go my twitchy fingers again. I envy these guys! But mainly I just admire them—for their birding skills, of course, and also for their uncommon maturity. With any luck, you’ll soon meet Graham and Henrey Deese on a local birding trail. They belong to a small but growing fraternity of young birders in the Chicago area who make the hobby even better for all of us. As birders, we are spoiled by an abundance of outstanding local venues to enjoy our craft. There is probably a birding “hot spot” within five or 10 miles of your home. Birdwatching at the nearest forest preserve or just the backyard is enough for some people, and there’s nothing wrong with staying close to home. It’s certainly a “green” thing to do. But birders who enjoy an occasional road trip have some exciting choices here in the Midwest. Places I consistently recommend include Midewin National Tallgrass Prairie near Joliet; Horicon Marsh in Wisconsin; and Jasper-Pulaski Fish and Wildlife Area in Indiana. Each offers a rewarding birding experience that’s well worth the drive. If you have more time, visit north-central Michigan to see the rare Kirtland’s warbler. Magee Marsh and Ottawa National Wildlife Refuge in northwest Ohio also qualify for the Midwest birder’s bucket list. Of course, there are many more destinations to tempt birders with surplus gas money. Personally, I always wanted to go see the greater prairie chickens in southern Illinois. My hankering grew stronger in 2008 after reading in Audubon magazine about the chickens of Prairie Ridge State Natural Area in Newton. Newton, as you surely know, is about 20 miles southeast of Effingham. In other words, “way down there” and not really on the way to anything except Olney, a town famous for its white squirrels. The remoteness of Prairie Ridge, and maybe the fact that I’d seen greater prairie chickens once before, in Nebraska, was holding me back. I needed a push. It came in the form of an email from Ron Skleney, a naturalist at Willowbrook Wildlife Center and a fellow DuPage Birding Club member. Ron, his wife, his boss and another friend were heading down to see the chickens in late March. There was an extra spot in the viewing blind—would I like to come along? Well, let me think, do robins eat worms? Do mourning doves sit on wires? Yes, of course I’ll go! A trip to see the prairie chickens requires an overnight stay. It’s best to arrive in Newton the night before and find a bed as close to Prairie Ridge as you can. Our party of five settled into the River Park Motel, where a single goes for $35 and includes a view of the Burl Ives Bridge. Waking at 4:30 a.m. is easy for most birders, including me. The more difficult test is getting up and not drinking coffee. A chicken birder doesn’t dare indulge in a cup of joe because the viewing blind is your home for up to three hours. A home with no bathroom. We arrived at Prairie Ridge just after five, and following a short orientation by site manager Scott Simpson we took our positions in the blind. There were three blinds in all, with a total capacity of 15 birders. On this day only one seat went unclaimed. Now it was time to wait. We sat on a cushioned bench, peering through a horizontal slot into the farm country blackness. It was a surreal way to experience daybreak. At 6:00 a.m. the silence was broken by the “booming” of greater prairie chickens. The birds were announcing their entry onto the lek with a sound similar to blowing over the mouth of an empty soda bottle. As the light improved, more birds appeared on the grassy stage. The booming grew louder, juxtaposed with singing Eastern meadowlarks. For the next two hours we watched a remarkable courtship display that really must be seen to be appreciated. The male chickens inflated their orange air sacs and erected their black neck feathers as they sparred, trying their best to impress the ladies. Like us, the female birds were spectators. We counted 14 prairie chickens in all, nine of them male. After the last hen vacated the lek we were free to go. To exit the blind any sooner would risk disturbing a potential mating. The same performance that we witnessed replays itself every morning in the early spring. Unfortunately, not all is well. 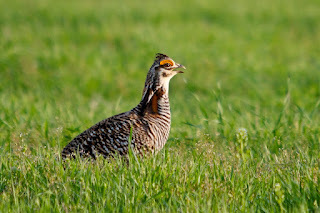 The greater prairie chicken, once abundant before massive grassland habitat loss in the 19th and 20th centuries, is endangered in Illinois. Fewer than 100 survive in the state, and Prairie Ridge, managed chiefly by the Illinois Department of Natural Resources, is the only place to see them. Another concern is that the genetic diversity of the Illinois birds is alarmingly low, a condition that hinders breeding success. In 2011, a violent hail storm cut the Illinois prairie chicken population in half, according to Simpson. He said the public viewing program may not even be offered in 2013. 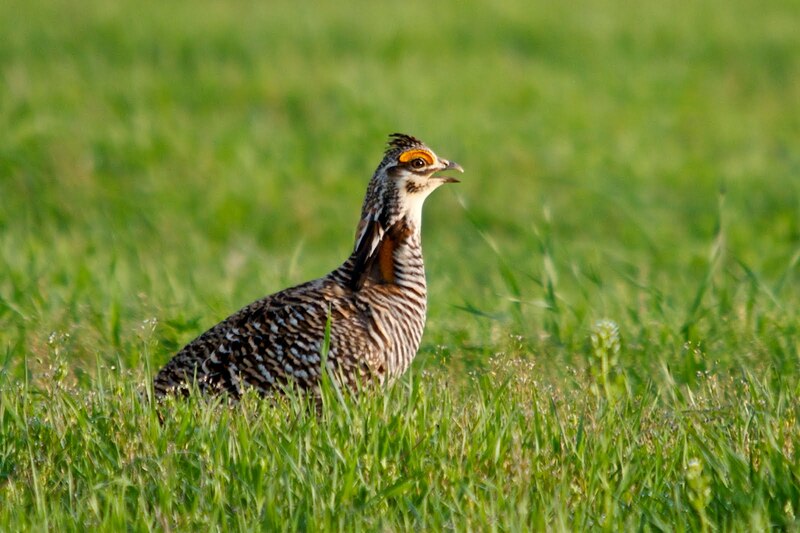 The Great Plains states have stable prairie chicken populations, Kansas and Nebraska in particular. You can even see the birds in Wisconsin, near Wisconsin Rapids, where an annual festival is held in their honor. But in the Prairie State, greater prairie chickens are hanging on by a thread. On a happier note, the Schaumburg Boomers, a new minor league baseball team, opens at home on May 25. Their logo, a greater prairie chicken, is terrific. I like this team already! Best of all, it reminds me of the real boomers—the ones that play on a field down south, truly in a league of their own. 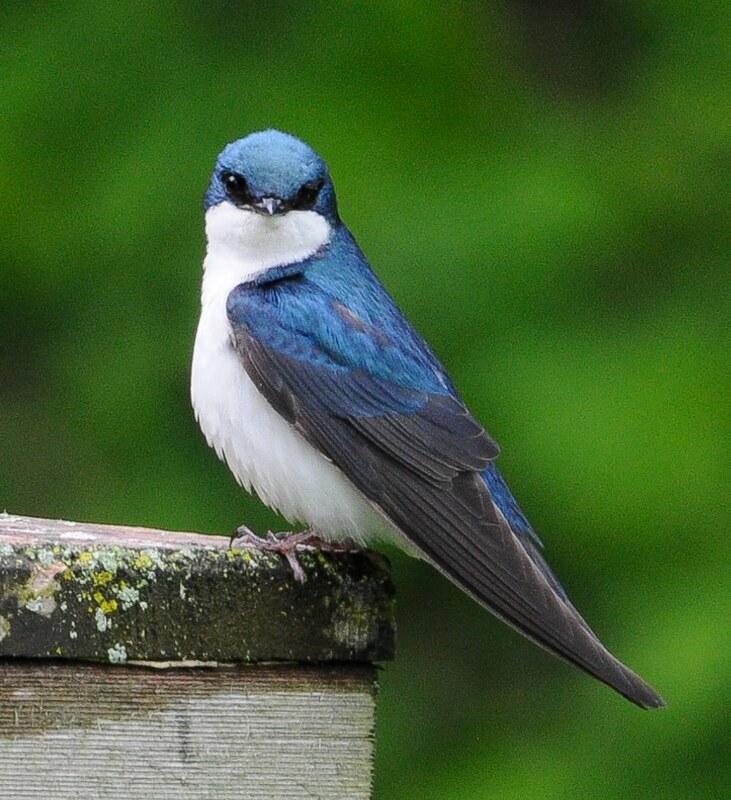 There is a popular spring birding festival in northwest Ohio called The Biggest Week in American Birding. This year’s dates are May 4-13, which makes it a really big week, indeed. In May, birders will apply any reason they can to get outside. Create a 9-day week? No problem. Call in sick? Good idea. Go “out to lunch” at the nearest forest preserve? Absolutely! Every day is precious during spring migration. There is much to see and the daily bird menu is always changing. The saying “So many birds, so little time” expresses both the joy and urgency of birding, especially in May. Wait a minute, make that April. The mild winter and incredibly warm March changed everything. This year, April is the new May. Daffodils, magnolias and forsythia were exploding on St. Patrick’s Day. Even before that, American white pelicans were staging at Nelson Lake Marsh in Batavia, three weeks before their usual appearance. Other typical “April birds” like kinglets, sapsuckers and brown thrashers arrived early as well. Most shocking of all was a ruby-throated hummingbird spotted March 21 at Fullersburg Woods in Oak Brook. In northern Illinois, hummingbird sightings in March were unprecedented until 2012. In a year when noisy flocks of sandhill cranes were swirling overhead in January and February, I guess nothing should be all that surprising. Not even the mockingbird that spent the whole winter at a Binny’s Beverage Depot parking lot in Chicago. Weather always affects our birding, of course, but this year is extreme. 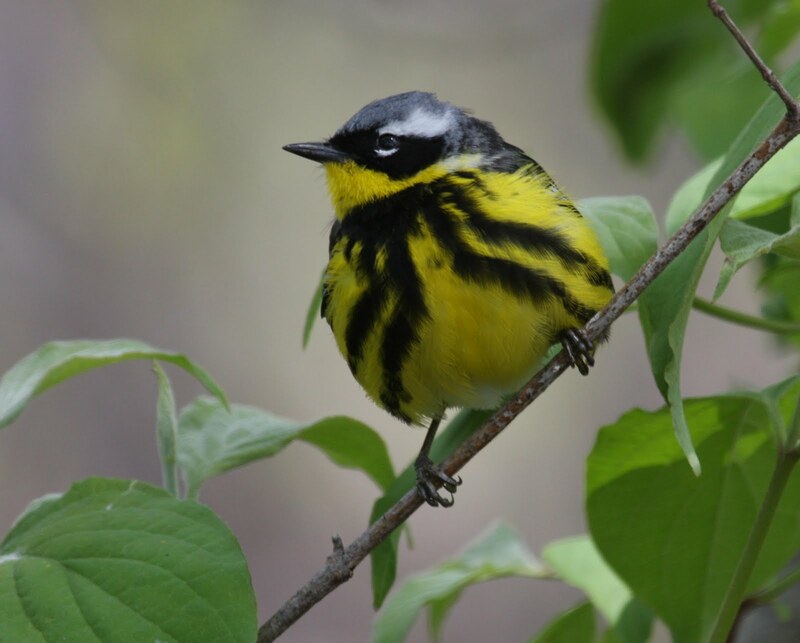 We’ll see many migratory species this month that usually don’t appear until May, including warblers. Flycatchers, orioles, tanagers and vireos, too. It should be an amazing April! Birding in May will still be good, but probably not great as we’ve come to expect. The biggest issue will be visibility. Usually it’s mid-May when the trees leaf out and warbler-watching becomes more challenging. This year, the foliage will be quite full before Cinco de Mayo, and by then many of the northern nesters will have already passed through our region. To be safe, assume the birds are already here. Don’t wait until May to go find your first Blackburnian warbler of the season, or your first scarlet tanager. Place your hummingbird feeder now; it felt crazy but I put mine out on March 24. If you can, spend a little time on your back porch in the morning, watching and listening. Be ready for some surprises. Consider ramping up your field trip participation, too. For ideas, check the websites of the DuPage Birding Club and Kane County Audubon. Both clubs welcome non-members on their walks. Fullersburg Woods Nature Center offers walks every Friday from April 13 through June 13. Willowbrook Wildlife Center (Glen Ellyn) will host walks on Tuesdays starting April 17 and through May 22. Spring is indeed a fun time to be outside with others who share a passion for birds, and with those who are just starting out and seeing spectacular birds for the first time. Birding with beginners is the best. I love seeing them bag “lifers” all morning long, filling their optics with dazzlers like indigo bunting, rose-breasted grosbeak and Baltimore oriole. What’s common and what’s not really doesn’t matter to a new birder—it’s all about the colors! Their enthusiasm is contagious. But like health clubs in January, spring field trips do attract crowds. Case in point: 74 birders turned out for the March outing at Cantigny Park. That’s a lot of folks, and more eyes don’t necessarily mean more sightings. Fortunately, this time of year, even a large group can see a nice variety of birds. This brings to mind one last bit of advice you’ve probably heard before: slow down! Find a good spot, perhaps near some water, and let the birds come to you. Staying put is good strategy, especially during spring migration when the birds are plentiful and focused on feeding. It promotes good listening, too. So get out there and make like a statue. No need to wait. We can all just pretend it’s May. From its beginning in 2004, this column has been mostly silent when it comes to gulls. There is a good reason for that. Gulls scare me. This was true in the literal sense when I was a boy. Alfred Hitchcock’s “The Birds” took care of that. Gulls were not the only angry birds in that 1963 film but they did their share of damage. Now the Laridae family of birds gives me nightmares for a different reason: I stink like chum when it comes to identifying gulls. I know better than to use the term “seagull” but little more. Indeed, enjoying gulls is either an acquired taste or acquired illness, depending upon whom you ask. Dedicated gull watchers occupy an extreme niche inside the birding world that few dare to enter. Those that do are fearless, patient and usually highly intelligent. They seem to thrive on problem solving. You’ll find the area’s top “larophiles” patrolling the Chicago lakefront in the dead of winter, examining every gull in sight, searching for a rarity that scarcely few other birders could appreciate let alone identify. And just for kicks, this uncommon tribe enjoys determining the ages of immature gulls, common or not, based on size, plumage, bill markings, leg color and eye color. Then there’s the rest of us. We notice gulls but seldom take the time to look at them closely. We might even think of them as trash birds, just a notch above house sparrows, starlings and pigeons. I’m as guilty as anyone, even though I know better. The gull family is not lacking in beauty and grace. Several species are in fact highly coveted by birders. Six kinds of gulls are on the list of America’s 100 Most Wanted Birds, in the book by the same name. One is the small and elegant Ross’s gull, an Arctic species that thrilled lakefront birders during a brief visit to Chicago a year ago this month. Yet even the common species can be tricky to ID because gulls take a long time to grow up. They assume widely different appearances during their first two or three years. And like other birds, gulls have alternate breeding and non-breeding plumages. With all these variations, the game of “name that gull” can present mind-bending identification challenges. 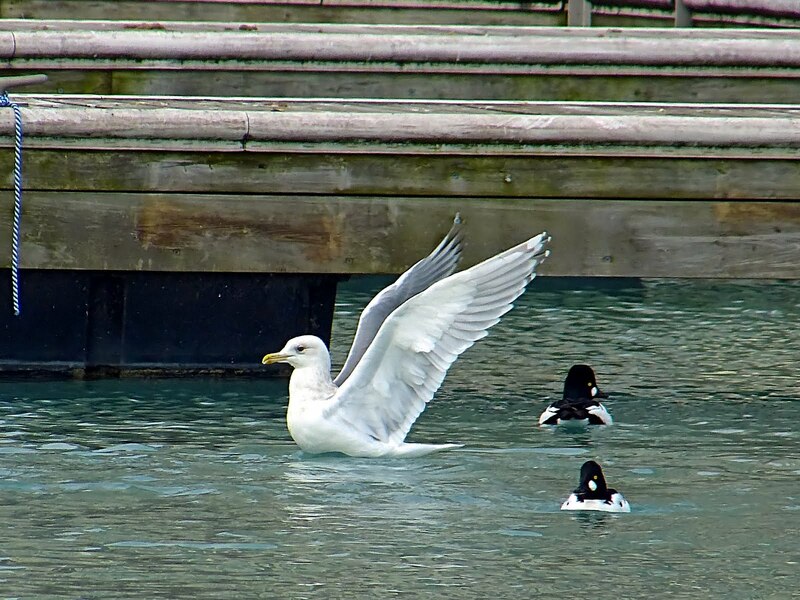 This is especially true in habitats like the Chicago lakefront where gull variety is highest for the region. About 170 birders attended the 11th Annual Gull Frolic at Winthrop Harbor, a sold-out gull-watching fest on February 18. Despite its name, the Frolic is a serious birding event, sponsored by the Illinois Ornithological Society. It’s a chance to mingle with the area’s leading gull experts and learn the basics (and finer points) of larid identification. I regret not being among the frolickers. Six or more hours of gulling would have hurt my brain but the payoff was new birds. Thayer’s, Iceland, glaucous and lesser black-backed gulls were each observed at the Frolic. These uncommon species visit Chicago every winter and yet not one is on my life list. Oh, the shame! Admitting my fear of gulls may be the first step to recovery. Next I will summon my most positive gull memories in preparation for the challenges ahead. On several occasions, after all, I’ve spotted, identified and admired a gull that was new to me—the delicate Bonaparte’s, for example, and the adult Heermann’s on that rocky California beach. Those were special sightings that I can build on. So you may see me more often on the Chicago lakefront. I’ll be the one shadowing one of the resident gull experts. Maybe I can carry his scope. Bird names can be misleading as most of us know. Case in point, the red-bellied woodpecker, whose pinkish underparts are one of its least conspicuous field marks. Or the Nashville warbler, a species that not only doesn’t live in its namesake city but is said to despise country music. That’s just not right. The common redpoll, because of its name, is a species that might tend to be dismissed by birders who are new to the game. “Common” birds just aren’t very exciting, right? Well, what’s common and what isn’t depends on where you live. Around here, redpolls are a rare winter visitor, and northern Illinois is about as far south as they ever travel. Every birder I know wants to see a common redpoll, and lately many are getting their wish. All signs point to 2012 being a redpoll “invasion” year, with sightings around DuPage County and all of Chicagoland on the rise since mid-January. This appears to be the best opportunity since 2009 to add common redpoll to your life list. Redpolls, along with pine siskins and crossbills, belong to a group we call the winter finches. They are “irruptive species,” meaning they sometimes appear here in unusually large numbers. Or they might not show up at all. It all depends on the winter food supply on their arctic and sub-arctic breeding grounds. If the cone and seed crop is good, they may never leave the tundra. But when food is scarce, the birds wander south in nomadic flocks. It’s during those times that our thistle feeders become finch magnets—for redpolls and siskins, in particular. Common redpolls are easily identified. As with many birds, the key markings are on the head. Look for a goldfinch-sized bird with a crimson cap, black chin and a tiny yellow bill. Redpolls also are heavily streaked on the flanks (like a pine siskin) and the males generally display some pink on the breast. You’ll know this bird when you see it. So keep your feeders full and watch them carefully this month and right into March. That very strategy paid off for me in February 2009 when three common redpolls stopped by my thistle feeder and stayed for about 20 minutes. That was the first and still only time I’ve hosted backyard redpolls. This winter, other birders are experiencing the same thrill. Christian Goers spotted eight redpolls at his Hinsdale feeder on January 4 and shared the accompanying photo. It was a new species for Goers’ yard list and the birds visited just a week after he’d added common redpoll on his life list during a trip to Door County, Wis.
Redpolls usually travel in flocks and often congregate with other finches. The birds in Goers’ backyard were associating with house finches. Goldfinches and siskins are other likely companions. Hopefully some redpolls will visit your thistle feeder, too. Meanwhile, if you need a more immediate cure for redpoll fever, try looking beyond the backyard. Weedy fields and anywhere with stands of alder, birch or spruce are worth checking for redpolls. Birch seeds are their favorite food. Currently the region’s premier “hotspot” is the Chicago Botanic Garden in Glencoe. Evanston birder Matthew Cvetas and his son Jake counted 115 common redpolls there on January 16. Five days later Al Stokie of Park Ridge reported at least 65 redpolls at CBG. He said the largest flock was foraging in the birches around the Regenstein Center. The Morton Arboretum and Crabtree Nature Center (Barrington) also can be good sites for redpolls. Birders who have the good fortune of encountering a flock of common redpolls should always look for that needle in a haystack, the hoary redpoll. The hoary is a common redpoll look-alike but with a pale or “frosty” appearance. Separating a hoary from a common is challenging even for expert birdwatchers. Hoary redpolls are far less likely to visit our region than their “common” cousins. Also keep in mind that there is nothing common about the common redpoll. In these parts, every sighting is a gift. Good luck!